Actor Chris Pratt steps out for dinner with fiancee Katherine Schwarzenegger in London. The cold weather couldn't stop actor Chris Pratt and his beautiful fiancee Katherine Schwarzenegger to step out for dinner in the beautiful city of England, London. The newly engaged couple Pratt, 39, and his love partner Schwarzenegger, 29, stepped out in London on Monday evening following their engagement announcement two weeks ago. Chris and Kat both looked all cozy and comfy in their matching outfits, both dressed in black from top to bottom for their dinner date. Furthermore, Chris' fellow actor friend Rob Lowe also joined the lovely pair at the dinner table. The Jurassic World star looked handsome wearing a knee-length black overcoat, gray inner sweater, black fitting pants, and a pair of black ankle boots. Chris' fiance Schwarzenegger similarly opted to wear a stylish black coat, black trousers, stunning shiny knee-high leather boots. Kat, who's an author professionally completed her winter style by putting on a gray woolly muffler to wrap up the cold temperature. To accessorize her outfit, the daughter of actor and politician Arnold Schwarzenegger and journalist Maria Shriver didn't forget to flaunt her thousands dollar engagement ring which consists of a romantic oval stone in the center that ranges from $150000 - 250000. Keeping it romantic, the duo held their hands as they stepped out after dinner to get inside their SUV. Both stars looked all happy together and smiled whilst being photographed. The actor who already shares a child with his former spouse, Anna Faris, 42, spent last Friday at a press conference for his upcoming movie Lego Movie 2: The Second Part. During his quest with one of the interviewers, the young actor revealed his future planning on life. Chris opened up saying he wishes to start a big family with lots of kids. Furthermore, the actor also revealed to E.T that he wanted to focus more on his family than his work. "Maybe less time spent working, more time spent enjoying life. I always want to be that guy that works to live, not lives to work. I think just a lot of time at the farm and a lot of time catching a lot of fish and seeing lots of sunsets." Earlier this month, it was also revealed that Chris's 6 years old son Jack Pratt played a big role in prospering his relationship with lover Katherine. As a matter of fact, the couple took Chris's son with them all the time, instead of enjoying solo dates. Chris and his former wife Faris separated in August 2017 following their eight years of marriage. 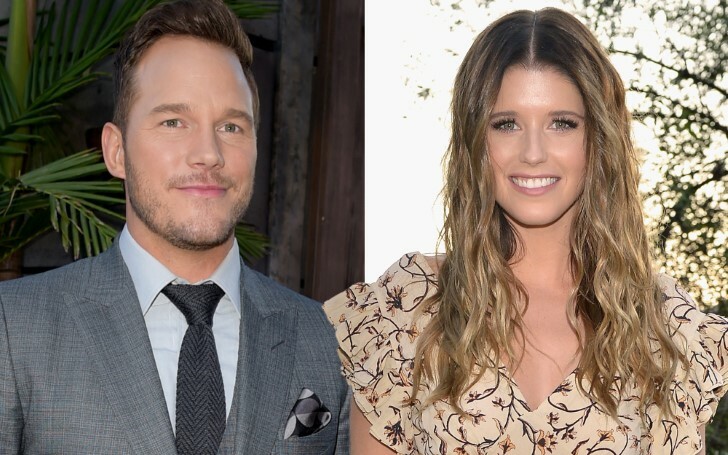 Following their, over a half years romance, Chris Pratt and Katherine Schwarzenegger will tie the knot in a religious ceremony this summer.